Making their introduction to the music scene is a brilliantly colorful duo called “He Met Her”. He Met Her is getting ready to release their debut EP, Crime Novela, on the 24th of this month. 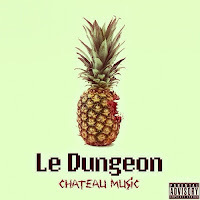 Currently out for your enjoyment is their “mixtape” titled Le Dungeon. What does He Met Her sound like you ask? Well, do you like The Never Ending Story? You know…with Atreyu, Falcor, Sebastian, and rock eating creatures based in a fairy tale land that is being destroyed by a hungry Nothing? If so, did you ever pay attention to the soundtrack? I’m pretty sure that the soundtrack for this all-time classic was an inspiration for the music created by He Met Her. 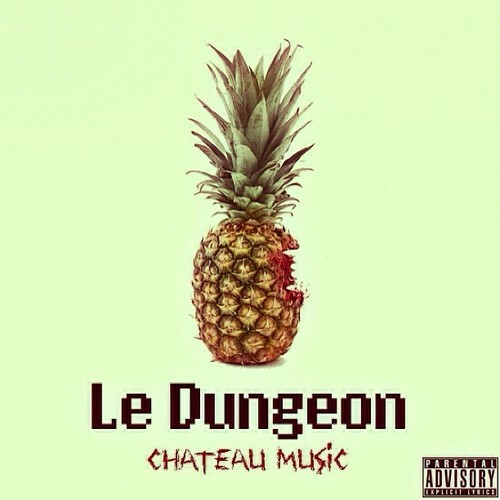 80’s synth pop blended with experimental rap/freestyle and non-harmonized vocals tinted with random bass drops are what you’ll hear on Le Dungeon. While I think that by keeping the lyrics in your subconscious makes it a bit more of a pleasant experience to get a feel for their creativity, I really do dig the overly vibrant and unique attempt at making music and representing who these two individuals are. To add more one-of-a-kind qualities, “Her” is known as Rocky Chance and “He” is Mowgli Moon. Their creativity is also represented by their fashion sense and has even caught the attention of famous photographer, Rankin, who has shot covers for Esquire magazine (highlighting Robert Downey Jr. and Jay Z), and portraits of Adele and Kevin Spacey – just to name a few. Visit the band’s site to check out some live videos and download some free music. I really would love to hear what you feel about this duo? Too free spirited? Or, are they headed in the right direction with their funkiness? Posts your comments below.